• There is a $50.00 materials fee due at the beginning of the school year (September) or at time of enrollment. • There is $35.00 Fee for all returned payments. 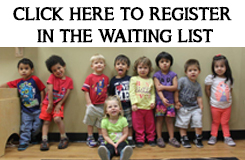 • There is a $20.00 Daily Late Fee if payments are made after the 5th day of the Month. • Children must be picked up no later than the time set on the agreement form plus an extra one hour grace period but Never after 6:00 PM. A violation will result in a late fee of $ 1.00 per minute. • There is a $200.00 violation fee if families allow any other person to enter the facility when entering/exiting or Keyless Entry Code is shared with anyone. • Firefighters, Law Enforcement, Military and Veteran Parents.